What do the commercial service pros want you to know about choosing a refrigerator or walk-in cooler for your business? Find out now. Many business owners initially underestimate the amount of refrigeration space they’ll need. While your food storage needs may be limited to start, they could expand quickly as your business grows. When in doubt, it’s best to opt for more storage space. If you’re struggling to compare size based on cubic feet, focus on the number of doors. Typically, two-door, reach-in commercial refrigerators can accommodate modest premises such as offices or small restaurants. If, however, you are dealing with a smaller space, you might opt for multiple vertical units instead. When you get into commercial cooler space, it is best to have a unit designed especially for you. 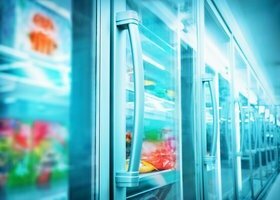 How much will your future commercial refrigeration unit contribute to your company’s electric bill? Modern units can be surprisingly efficient. Keep an eye out for Energy Star certified refrigerators and coolers, which could generate considerable savings while also allowing you to do your part for Mother Nature. Typically, commercial refrigeration systems place condensers in one of three primary locations: mounted to the top, attached to the bottom of the unit, or outside the building. Each approach holds unique benefits. Bottom-mount condensers tend to be more accessible and therefore, easier to clean. With top-mount condensers, however, you may not need to clean as often, as they’re less likely to trap debris in the first place and the outdoor units remove any unwanted heat from the building. The right refrigeration unit will provide ample space to cover all of your food storage needs while minimizing utility costs and cleaning hassles. No one model will work for all premises; keep your layout and unique needs in mind as you choose the perfect model for your business. Still struggling to choose a commercial refrigeration system? The team at Wilson Refrigeration and A/C Service can help. We install a variety of models and can help you choose a refrigeration system that best fits your business. Contact us online now to learn more about our dependable commercial services.